Thanks to the many folks that attended the Sentrigo Webinar a few hours ago. Marketing had a few problems with the GoToWebinar software which were solved by excellent team work, Dunkirk Spirit and a sense of humour ~ but did result in my being unable to show this demo of how CREATE ANY DIRECTORY privilege can be used to turn off SYS auditing ~ without the act of turning off the audit being recorded in the audit trail itself. This is why shutdowns and startups as part of mandatory audit are important for security folks to monitor as it may be the only evidence of unauthorised actions having taken place. It is also why using DAMS to enhance Oracle audit is a must for high security organisations (Note: Don’t forget to backup your spfile before you do this test). The above demo is very similar to the CREATE ANY DIRECTORY paper I wrote a couple of years ago now. The point being that these critically important configuration files are not state checked ~ only the size of the file is verified. Good idea to record and verify sha1sum of these files over time . The Powerpoint slides from today’s presentation are here. Thanks again to all those concerned in the presentation today. 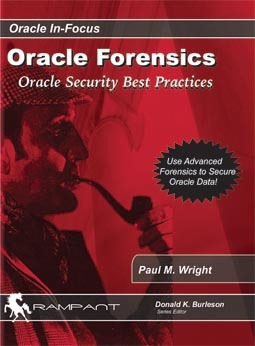 If your organisation is interested in Oracle Security and/or DAMS you can contact me confidentially to discuss this at paulmwright@oraclesecurity.com . Here is the complete and fully tested script for the above demo (The code works well on 11.2 RHE5-64).